Microsoft’s latest iteration of Windows, Windows 7, is undoubtfully the best operating system because of its improved UI, features and overall performance. One of the lesser known features of Windows 7 is its Advanced recovery methods. With the advanced recovery feature one can easily reinstall Windows 7 without much hassle. 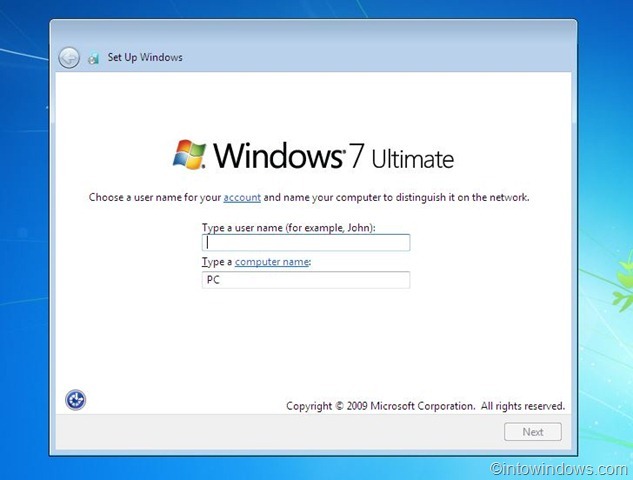 You can reinstall Windows 7 either from a recovery image provided by your computer manufacturer, or from your original Windows 7 installation disc or Windows 7 USB flash drive. 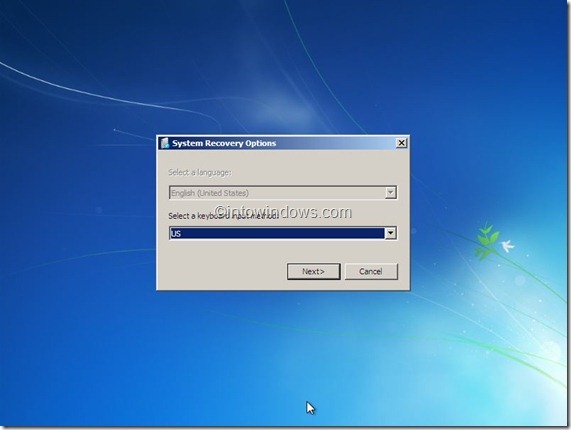 Step 1: Open Start menu, type in Recovery in the search box and then hit enter to launch Recovery window. 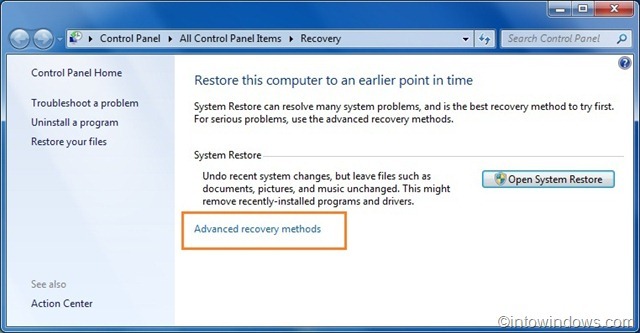 Step 2: Click Advanced Recovery methods to open Windows 7’s advanced recovery methods. # Use a system image you created earlier to recover your computer: If you have created a system image, you can use it to replace everything on your computer, including Windows, programs, and all your files, with the information saved on the system image. 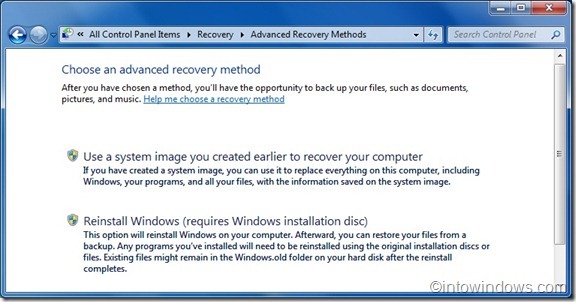 # Reinstall Windows (requires Windows installation disc): This option will reinstall Windows on your computer. Afterward, you can restore your files from a backup. 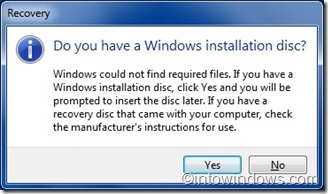 Any programs you have installed will need to be reinstalled using the original installation discs or files. Existing might remain in the Windows.old folder on your hard disk after the reinstall completes. 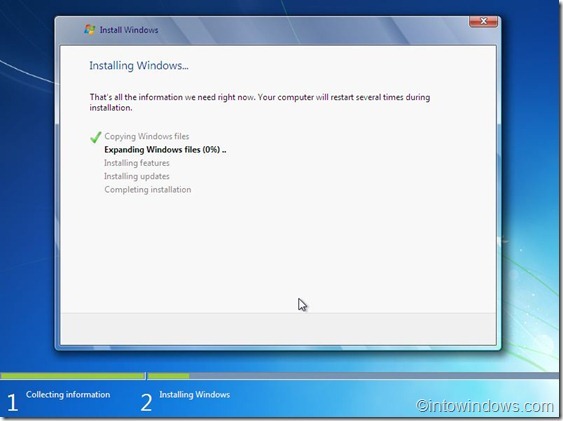 Step 4: Click Reinstall Windows option to start the reinstallation procedure. You will be asked to backup your files in the next step. 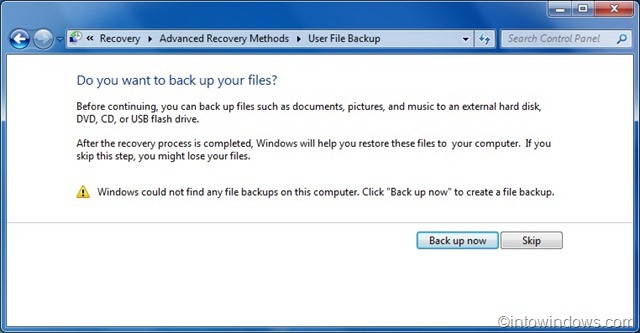 Click Backup now option to backup your files such as document, pictures and music to a USB, DVD or external hard disk. 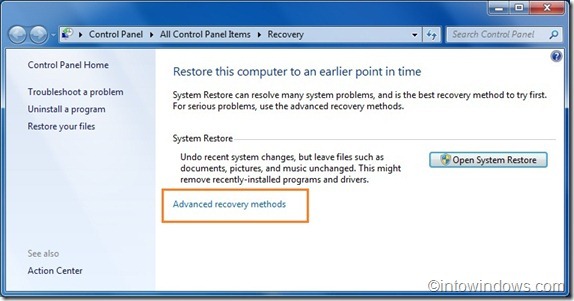 Click Skip and then click Restart button to restart your PC to start the reinstall process. Note: When you use this method (Reinstall Windows), the existing Windows installation will be moved to the Windows.old directory. You can retrieve data from that location after the restore completes. Any programs you have installed will need to be reinstalled. Step 5: Once you hit the restart button, wait for a few minutes to see the following screen. Select your keyboard input method and click Next. Step 6: In following screen, you will be prompted with reinstall Windows 7 confirmation box. Click Yes to proceed to the next step. Step 7: Now insert your Windows 7 installation disc and then click Yes to see the Windows 7 installing screen. 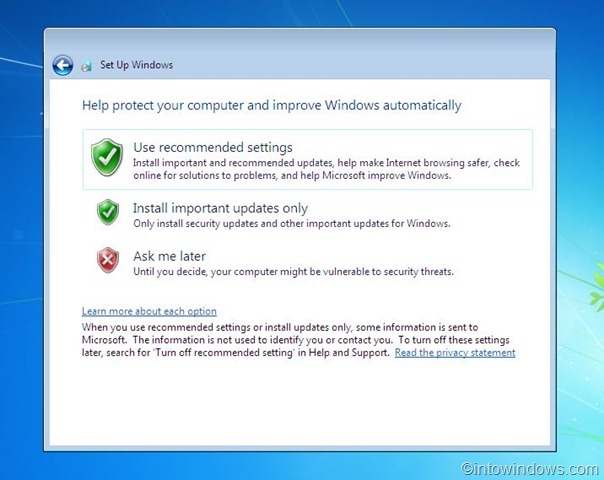 From here onwards, you need to follow the simple onscreen procedure to complete the reinstallation procedure (you can refer our Windows 7 installation procedure). Step 8: Windows will take a few minutes to show the below screen, where you need to enter a username to your account. Step 9: Click Next to see the set password box. If you like to set a password for your account, type and then retype the password in respective boxes. Click Next to continue. 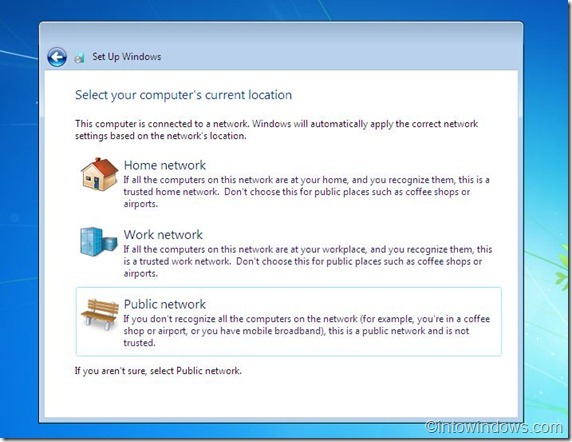 Step 10: In this screen, click Use recommend settings and then select your time zone and again click next button to select your network type from available Home, Word or Public network. Step 11: You are almost done! You have successfully reinstalled Windows 7. You might see the Restore my files box on the desktop. 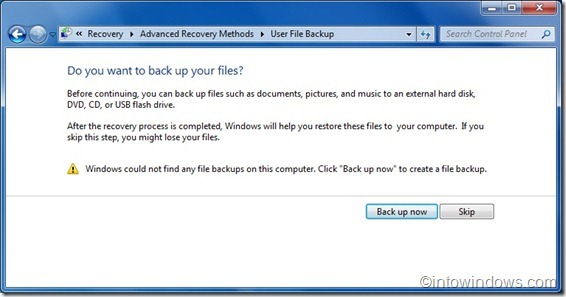 Click Restore my files button if you have done a backup in the step 5. Step 12: Finally, you might want to delete the Windows.old folder during the reinstallation process by Windows to move your old installation files. 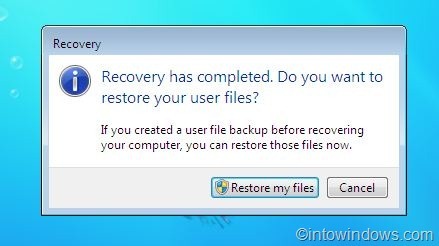 Refer our how to safely delete Windows.old folder in Windows 7 guide to free up a few GBs of your hard disk space. Step 13: Once the reinstall is done, it’s time to install all your software and device drivers. Our to how to legally reinstall Windows 7 without entering the product key guide might also help you. Ok my HDD is kaput, it is badly damaged. I f I get a new hard drive, How can I install windows 7,from the disc I own WITHOUT getting the message duplicate disc? Why should I have to pay for another licence key when I own a genuine windows 7 disc? Switch to apple products that way you can spend your valuable time producing things or interacting rather than trying to figure out why Gates crap NEVER works right. If I had a nickel for every hour I’ve spent repairing windows sh&t products I would be a billionaire too. Are you getting File missing error during boot or after booting into Windows? I HAVE LOST MY WINDOWS 7 SOMEHOW, BUT MY COMPUTER WONT LET ME DOWNLOAD IT OR ANYTHING ELSE, IT KEEPS TELLING ME ANOTHER FILE IS MISSING AND WONT LET ME DOWNLOAD ANYTHING. CAN ANYONE HELP ME WITH THIS PROBLEM? Quick show of hands… How many people have ever had the need to reinstall windows over the top of itself while it actually still worked? This information isn’t worth the price of beans. Tell us how to reinstall Windows over the top of itself if you can’t boot and if FixMBR, FixBoot RebuildBDC don’t work…..
will my pc be virus-free after re-installation of W-7? I have a Windows 7 Upgrade disc (from Vista). Can I still perform a reinstall on the same drive as windows7.old? installed win 7 used pc twice now it squeals wen pc turned on only way i can stop it disable sound. I want to reinstall my system. My memmory has divided. I want to know after reinsatal my drive F also formated. 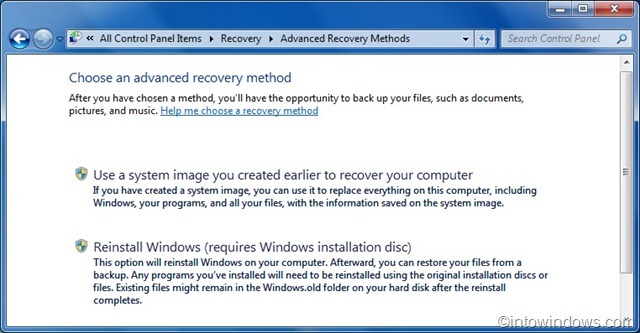 if i use this method.can i reinsall my windows7? If windows wont boot as in a bad virus damaged the mbr and it fixboot/mbr wont make it boot you cant reload windows and you cant boot windows. You are FORCED to erase everything and start over. There is NO reinstall over an existing copy choice. The “repair” existing copy fails. We’re a bunch of volunteers and opening a brand new scheme in our community. Your web site provided us with helpful information to work on. You have performed a formidable activity and our entire neighborhood can be grateful to you. I can’t install win XP from boot after installing win 7.. I try to install from win 7’s explorer, i open setup.exe, but “instal windows” button is not available.. Need somebody help, quickly ! What if the so-called “repair” fails? Have dell with german language windows 7. have lost password so cannot enter windows. Want to reinstall with english windows 7-cant do one without the other !! 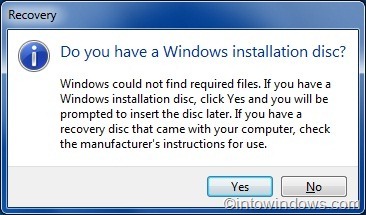 Without disc can i reinstall windows 7? reinstalled windows 7 pro and cannot remember all of my password wat can i do ?? Win 7 update for service pack 1 constantly fails due to “error: error_sharing_violation (0x80070020)”. All steps to fix do not work and told to reinstall Win 7. Question: why can’t the sharing violation be fixed directly? I upgraded Vista O.S. with Windows 7 Professional. My registry is now corrupted and I want to do a clean (re)install. Can I use my upgrade Windows 7 Professional CD for this? Windows will move all the files in the current Windows drive (usually it’s “C”) to a new folder called winold in the same drive. Files in the other drives will not be deleted. do my files in D and E will be deleted? i have a little problem..but,its not about recovery or reinstall..just i want to ask,what should i do if my window on and off very slow and not normal shutdown? Windows 7 cautions about data which isn’t backed up may be deleted… is this a “just in case things go wrong” thing, or does this method actually wipe my drive? My Sister Forgot Her Account Password! So Now We Cant Log On ! What Do We Do?? computer repeatedly says there is no disk in my drive as it gets to abut 5% Expanding windows point… is so tiresome. Milan, you need a Windows 7 disc. Do i have to have the Windows & disc? On windows 7, press the on button, then press f8 and hold it till you hear a beeping sound. in the window that pops up type in your pass word, or if you dont have one click the tab and click you computer name that you gave it. Click advanced recovery mode and that should start the process. It takes about an hour to reinstall the OS. 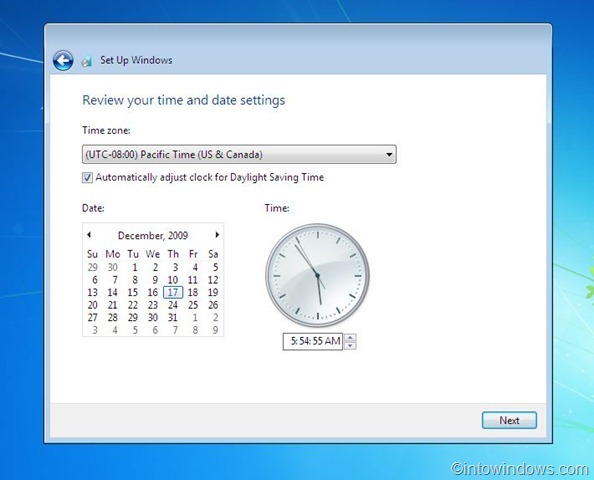 Put your Windows 7 disc in the computer, switch off and back on again. I think it’s “advanced”, its been a long time since I installed it, but it will give you the option to format the hard drive and reinstall a fresh copy. What if I did not get the Install CD for my windows 7? How do I burn an install CD? hmmm thank you but… i dont have original windows 7 in CD… i mean i dont even have Windows 7 in CD.. help please can i reinstall without CD ? and make sure i will backup my data back.. Thank YOU! Whenever I try to do this i get an error that says:”The unattend answer file contains an invalid product key. Either remove the invalid key or provide a valid product key in the unattend answer file to proceed with Windows installation.” What do I do because i don’t know how to do what it’s telling me to do? Ok, this is great if windows boots up…what if it won’t even boot up as in my case? WRONG! widnows 7 may be the best WINDOWS operating system, but OS X and Linux kick windows but!